@BearDaniels, they ran out of small pizza crust. Its easier to make the customer a medium instead of trying to cut a medium by hand to make it a small. Plus the ingredients to make a pizza are literally penny's on the dollar you spend. The inability to find the right adress and doing your job properly is also wrong. 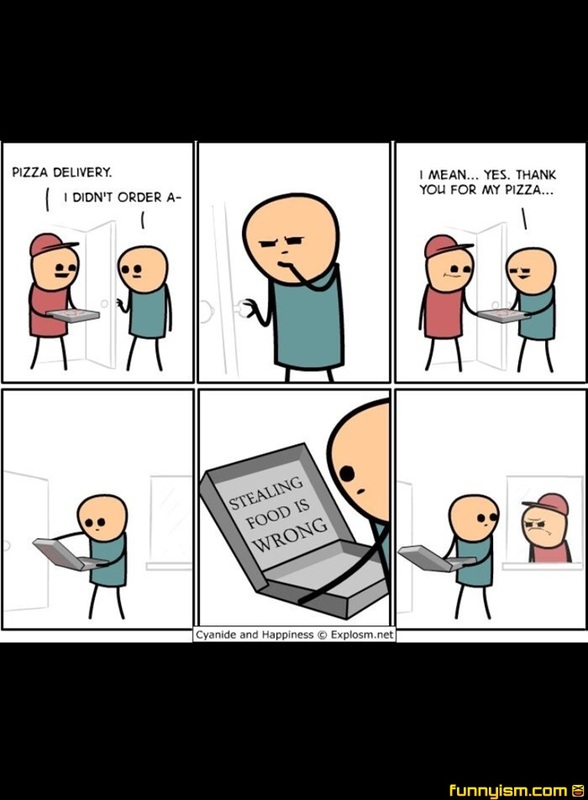 @Jeancul, as a pizza guy, I can tell you from experience that there are a-holes that will steal pizza from people, by claiming its theirs while at someone elses address. Examples would be at parties, dorms or frat houses where many people live together and order sh!t tons of pizza. Sad truth is many people live with a-holes. Only if they already paid ahead. Otherwise its fair game.